Story - 4: A touching look into family life for the Kents framed with educational beats to ensure Jon is still learning something along the way. Though it is full of heart the story lacks something for me. I felt the issue at the Hamilton County Fair worked far better because there was a subplot for Superman to sink his teeth into. I'm not averse to stories of Clark & Lois not having to deal with crime but only so long as the road trip mixes action & adventure in with the drama. Art - 3: The art felt a little light. The detail was quite minimal, and to a degree slightly cartoon-like in the process. It wasn't helpful that there were no super-heroics to allow for a little variety in stylistics and composition. It is not far a departure from the layouts by Gleason but more detailed art probably would have helped the dramatic beats resonate more. Cover Art - 5: I love Lee Weeks' artwork and this reminds me of all the work he did for Convergence and makes me a little sad he's not still on the book now. 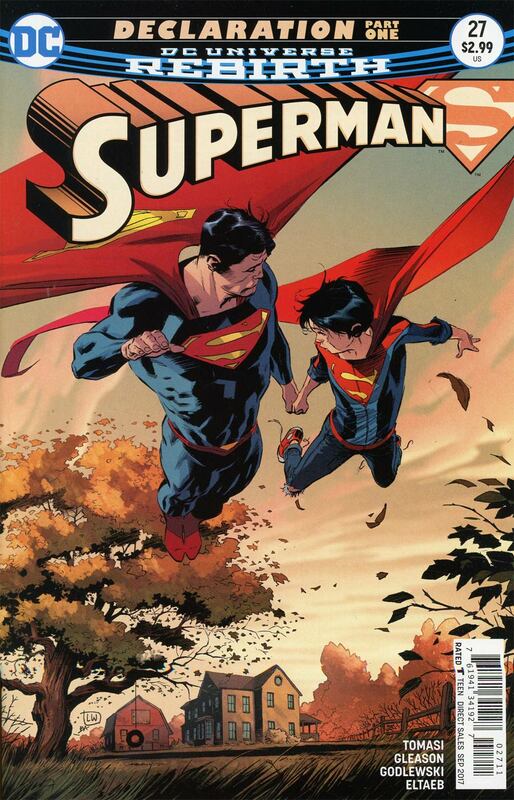 His cover of father and son soaring through the air really has a feeling of warmth to it. Variant Cover Art - 5: How brilliant is this? A perfect balance to the drama. I liked their exploration of America and their history lesson, but here they look like they are also having a lot of fun. 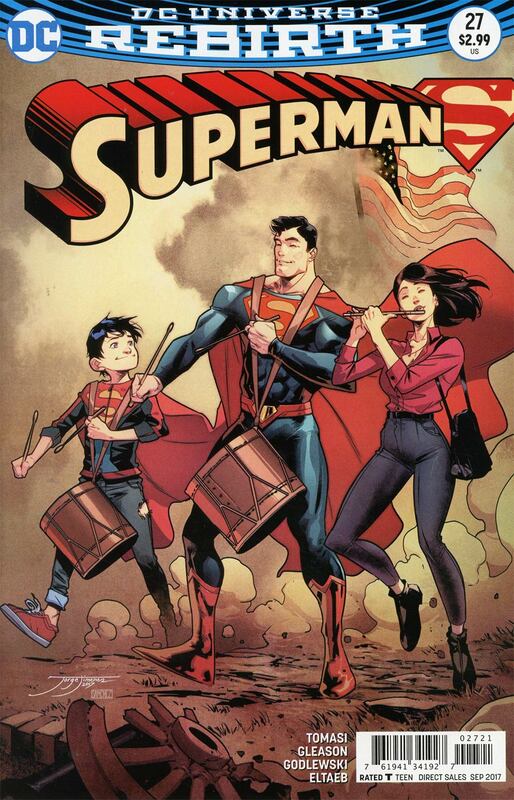 How good is it to have the Kents as a fully fledged family in comics? I remember a while back that some big shot said comics featuring husbands and wives (and kids) don't work. How wrong they were.